It is solid and fully features business accounting software that is quite networkable along with supports multiple users and it easily works on both Window PCs and Macs. It is one of the best options as Mac accounting software. 1. It offers quite a simple access to all of your business related data and provides the options for sharing this data with other PC users on your own network. 2. It uses a flowchart-like interface which is quite common with other accounting software. Its application’s interface has a sidebar with various navigation links to other financial tools from MoneyWorks’s collection. 3. It also has a larger main window which displays a flowchart that changes with the change of which item on the sidebar you have selected. 1. You can easily create quotes, invoices and sales order, create and receive purchase order things, and also review the account payable. 2. Navigation options provide you the access to various tools and features. This simplifies the process of account management. 3. 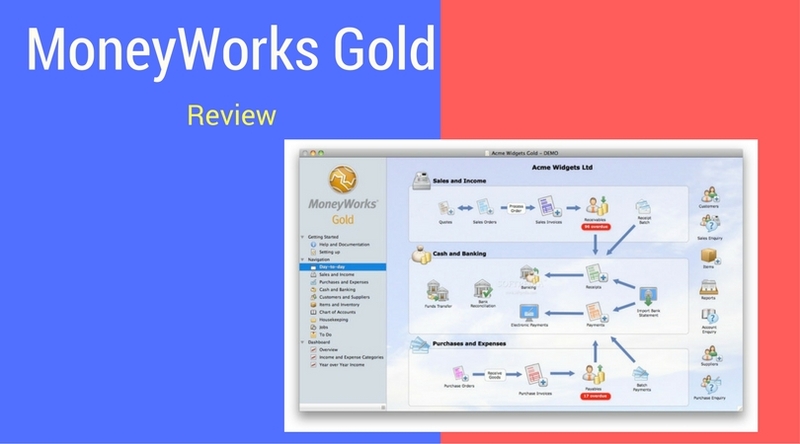 MoneyWorks makes it quite easy to manage which user has access to which data of the company as it has multiple users enabled. 4. Its Multi-User network capabilities is one of its major feature. This makes sharing files on the network a simple affair just like opening the Sharing and User settings and just putting a check on the box in order to turn on sharing. This application provides access to any user on the on the network. 1. It includes just under 100 reports which include sales tax reports for Canada and VAT reports in case of the UK. If any of these reports doesn’t fit your requirement, you can create custom reports all by yourself. This is the only drawback as it doesn’t have all the major report templates for other countries like the US. 2. In the case of sharing files which are available for all users on the network, you have to limit access by yourself by putting password protection on your data. 3. You can easily add users and limit their access, but there is no particular group option to manage the user access to data. In this case, every user created in this software requires getting access managed individually. This software is quite a nifty tool if you wish to keep tabs on your accounting process in a networked environment. Its various report templates are worthy addition along with the ability to create custom reports as your requirement. The networked structure provided by this software allows all the users to access company’s data, but it has to be managed individually. Overall, this software is a perfect fit for Mac and Windows PC users who have small business to run. In case you have used this software, then do let us know about your experience. Also, leave your views and suggestion in the comment section below.